Description: It reads a variety of document formats including PDF, ePub, MOBI, XPS, DjVu, CHM, CBZ and CBR. 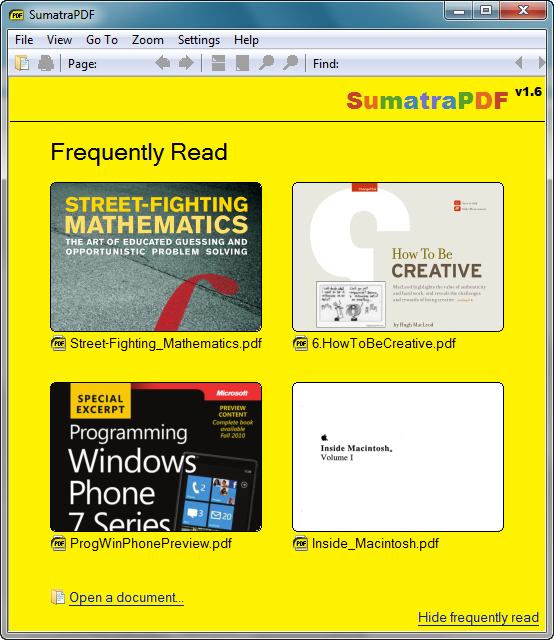 Unlike many other PDF viewers, it has a simple interface, small size and starts up very fast. You can also read this Guide for more info.